Contributions you make as the business owner are generally tax deductible by your business. You may also contribute as an employee, reducing your personal taxes. Total contribution limits, as an employee and employer, are nearly 10 times higher than a Traditional IRA. With an Individual (or solo) 401(k), you decide how much to contribute, and you can choose to contribute as your cash flow allows. You can also make contributions whether or not you have a profit. PAi's CoPilot includes Years of Retirement that helps you understand how many years you can afford to be retired. PAi's CoPilot offers proactive, relevant messaging that encourages you to participate in your retirement experience. Footnote † Businesses with less than $250,000 in plan assets will pay $20. Businesses with more than $250,000 in plan assets will pay $25. Fees example: Molly has $10,000 in her account. This year, she will have approximately $52 withheld to cover the asset-based fee and $36 ($3 x 12 months) withheld for recordkeeping fees. Tell us about yourself and your business, and we'll customize a plan to fit your needs. You can modify the features, if you wish, before purchasing. After reviewing your proposal, you can purchase your plan online in just a few minutes. Receive a custom proposal online in as little as 5 minutes. Need help? Step-by-step guidance is available by phone from a PAiFootnote 1 401(k) Consultant. Can I start a 401(k) if I'm self employed without employees? Yes, you can. An Individual 401(k) is designed for a business owner without W-2 employees and, if married, the owner's spouse. Learn more about retirement plans for 1099 contractors about retirement plans for 1099 contractors. Employer contributions and plan expenses are generally tax deductible for the business. Pre-tax salary contributions and any earnings are not taxed until withdrawn, and Roth (post-tax) contributions may be withdrawn tax free after age 59½. Can I withdraw funds or take a loan from my Individual 401(k) account? Need help setting up your plan? Footnote 1 Plan- and participant-level administrative and recordkeeping services for Merrill Edge Individual 401(k)s are provided by Plan Administrators, Inc. (PAi). Investment advisory and fiduciary services are provided by Morningstar Investment Management LLC, a registered investment advisor and wholly owned subsidiary of Morningstar, Inc. Morningstar Investment Management LLC is a provider of investment management solutions, including investment advisory and retirement plan services. Educational call center support will be provided by PAi. Bank of America Corporation, PAi and Morningstar Investment Management LLC are not affiliated. Footnote 2 Please consider the advantages and disadvantages of taking a loan before initiating one. Footnote 3 Morningstar Investment Management LLC selects the investments and is responsible for the ongoing monitoring and maintenance of the investments and model portfolios. 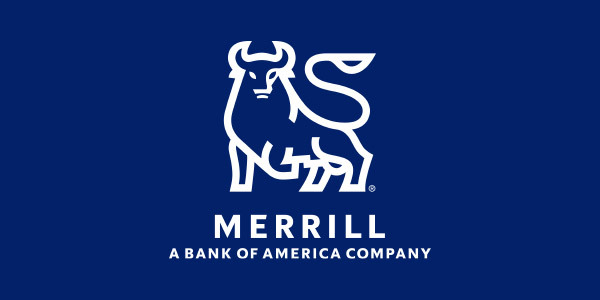 Merrill Lynch is responsible for ongoing product management and vendor oversight, as well as trading and custodial services of plan assets and monthly transaction statements. Footnote 4 Fees will be deducted from the business account. Footnote 5 Fees will be deducted from each participant's account.